Most homeowners prefer hardwood flooring, especially for the main level. This is especially true for new home buyers, younger buyers and wealthier buyers. When selecting new hardwood, there are a bunch of factors to consider in terms of species, type and color. First, it's important to understand whether solid or engineered flooring is the best option for your home. In some cases, both options may work, but one may be better than the other. In some circumstances there may be a big differences in cost. Read above article for more info. Second, what type of species do you prefer? What do you like better? What will hold up best for your family's needs? Do you have pets to consider? What will your budget allow? This article shows the most popular hardwood species and explains the pros and cons of each along with pictures. Third, what color do you prefer? Do you like light or dark? Or somewhere in between? Do you like red or warmer tones? Do you like cooler tones? Do you like grays? Read here to learn more about the stain colors that are most in style for hardwood. Debbie Gartner is known as The Flooring Girl. She owns her own flooring store in Westchester County NY. 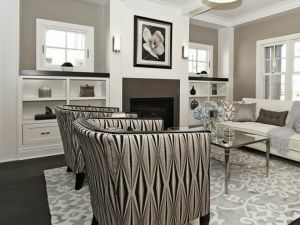 If you live in Westchester County NY and would like a free design consultation, call 914-937-2950. They install hardwood flooring, refinish hardwood floors and install carpet and carpet runners. There are so many choices to consider. I like the finished on site look and the lighter stains. I know the dark stains are really popular too. Debbie - Yes, site finished looks so much better. In our area, dark is more popular, but this all depends on the homeowner's taste. Dealing with you Debbie must be a pleasure for consumers as you are so knowledgeable on this subject! Sheila - Thx. I hope that's how my customers feel. In the majority of the midrange new homes we are seeing the engineered wood. So many home buyers have dogs and prefer it. Debbie - That is interesting. Debbie - That is interesting. Here, we are a solid hardwood market and you'll even find that in most mid range homes. Lower end homes might typically add engineered wood and certainly apartments which often have concrete subfloors. In the apartments they are using laminates and the less expensive engineered floors.I often hear even in the almost luxury range homes that they like the hand-scraped wide engineer floor look. Debbie - Oh yes, the handscraped look is popular in the south. Here, it is very niche. Most people here prefer site finished wood.